Earlier today we covered AMD's and Nvidia's initial announcements at the SC15 supercomputer conference in Austin, Texas. Intel is there too, of course, and started its publicity broadside by announcing several advancements to its Scalable System Framework (Intel SSF) for high performance computing (HPC). As part of the SSF it introduced Intel Omni-Path Architecture (Intel OPA). We also heard about the second generation Xeon Phi co-processors (code-named Knights Landing), which are in pre-production testing in several supercomputer-class systems. Intel's SSF framework provides architectures, designs and validation tools to build validated systems. These systems will be scalable, flexible and balanced HPC systems for diverse applications such as data-driven analytics, visualization and machine learning, as we enter the predicted 'HPC everywhere' era. Many big name corporations are on board; the likes of Cray, Dell, Fujitsu, Supermicro and more are planning to launch systems based upon Intel SSF in 2016. 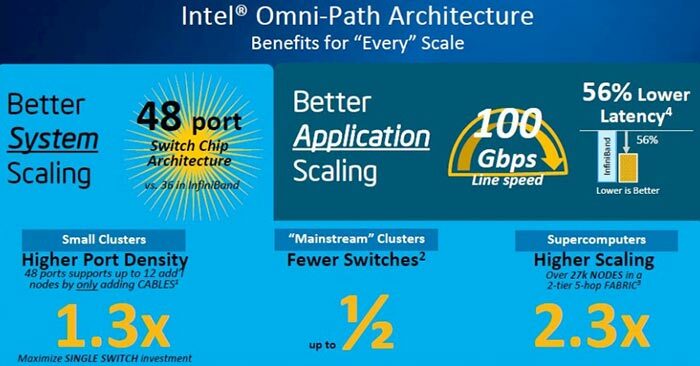 A key element of Intel SSF is the introduction of Intel Omni-Path Architecture (Intel OPA), "a new HPC-optimized fabric technology that makes the performance of HPC clusters more accessible to a broader variety of users". This end-to-end fabric solution significantly improves HPC application performance from entry level upwards. Intel OPA outperforms InfiniBand EDR within the same budget and uses up to 60 per cent less power. 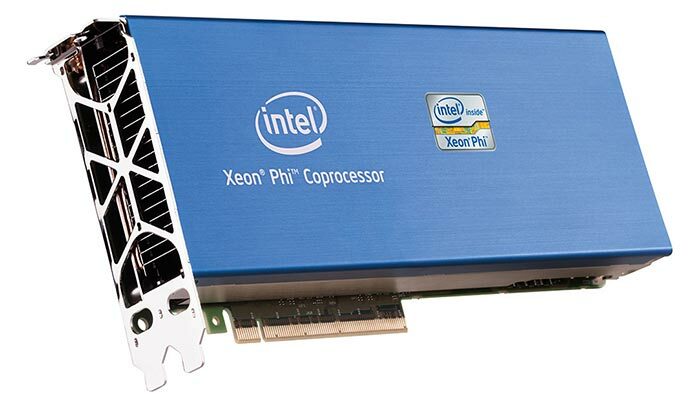 Intel also informed us that preproduction second-generation Intel Xeon Phi processors (code-named Knights Landing) are running in several supercomputing-class systems including Los Alamos (Trinity system), NERSC (Cori system), and CEA in France. It expects 50 system providers will bring systems based upon this processor to market at launch. According to a report carried by PCWorld, Knights Landing will sport 72-cores. This 14nm chip will deliver double-precision peak performance of more than 3 teraflops and single-precision performance of more than 8 teraflops. 16GB of on-package MCDRAM memory, providing 5x more bandwidth than DDR4 memory technology, will be installed on the package. Knights Landing is the manifestation of Intel's desire to provide a significant step up in performance from its supercomputing cards without drawing more power. Accompanying software developments are important to this goal and Intel confirmed its support of the OpenHPC Collaborative Project plus investment in its Lustre software development at five new Intel Parallel Computing Centres. Yeah, but… Can it run Crysis? (1) unfortunately it is LINUX based creating further problems for small companies which are comfortable with windows. (2) there is this other part I dont get, most of these HPC cards target big organizations am sure most of us trust our ‘cheaper’ cards the likes of TITAN X and FURY X which have awesome Teraflop computing abilities, the Tflops of a Fury x BEAT any core out there and that is no secret thats why Bitcoin miners use them ditching TESLA and the boring Xeon Phi.